With new airline restrictions on luggage and higher check-in luggage fees, parents traveling with children will find it nearly impossible to bring all of the baby and toddler items they need with them on vacation to Puerto Vallarta, Mexico. Conveniently, there are now several companies offering wonderful solutions to this problem. 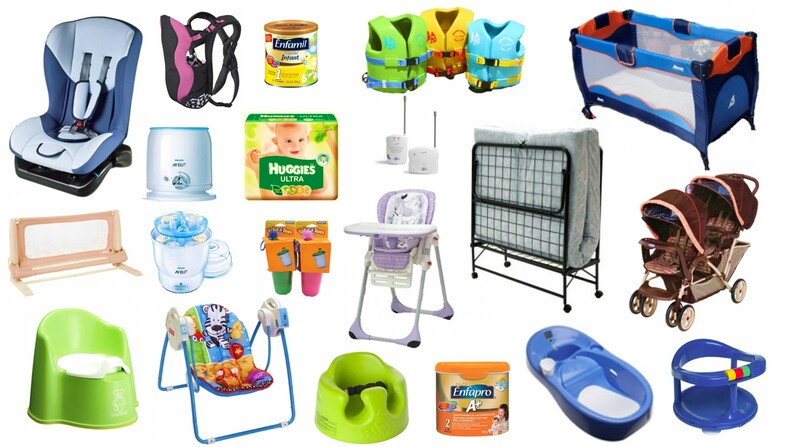 Each company offers a large inventory of baby gear rental items to help make the challenge of traveling to Puerto Vallarta with children more enjoyable, relaxing and worry free. In most cases, everything you request will already be at your destination when you arrive! Lots for Tots: Baby gear rental equipment and toddler gear rentals in Puerto Vallarta, Mexico. This baby gear rental company services the entire Banderas Bay area from the beautiful villas and resorts in Mismaloya and Conchas Chinas to the luxury resorts and condos in Nuevo Vallarta, Bucerias, and La Cruz de Huanacaxtle. Their service area further extends to Punta de Mita, Sayulita, and San Pancho (San Francisco). If you need a car seat delivered to the PVR airport, they will happily meet you at the airport at no additional charge. Their baby gear rental items include: Strollers, car seats, folding highchairs, booster seats, baby swings, safety gates, potty chairs, baby monitors, baby walkers, baby carrier backpacks, bed rails, inflatable air mattresses, folding cots, pack-n-play cribs, playpens, bottle sterilizers, baby formula (powdered formula to be mixed with water), Gerber baby food items, a variety of baby care items to include diapers and pull-ups, sippy cups, baby bath tubs, baby and toddler toys, inflatable baby pool, DVD player with children’s movies, Nintendo Wii with games, and more. All rental equipment is brand name, purchased new, and is JPMA approved. Prior to each rental all items are cleaned, safety inspected, sanitized, and monitored for recall notices. Delivery Charges: Free delivery on every order of $50 or more between the Romantic Zone (downtown) and Sayulita. If there are special circumstances that warrant a $15 delivery fee, they will confirm that with you prior to accepting your order. Languages spoken: English and Spanish Other services offered: Professional Babysitting ($12 per hour for 1-2 children. For each additional child, add $2 per hour.) Traveling is a lot easier when you’re not loaded down with car seats, strollers and heavy luggage filled with baby toys and supplies. Now you and your baby can enjoy all the comforts of home while on vacation. Sayulita Beach and Baby is a baby gear rental company offering full-sized cribs, pack-n-play, bed rails, strollers, double jogging strollers, car seats, high chairs, swings, safety gates, booster seats, baby bath tubs, beach chairs, beach umbrellas, toys, surfboards and so much more! Whatever you need is delivered directly to your destination. Imagine the peace of mind you’ll experience knowing that the baby items you need are waiting for your arrival at your resort, condo, house or villa. Set-up of your baby gear rental items is included. Delivery and pick-up is offered for the following areas: Punta de Mita, Punta Negra, Litibu, Higera Blanca, San Pancho, Lo de Marcos, and Sayulita. Parent’s Magazine: Toy and Product Recall Finder – Search by product, brand or model number.